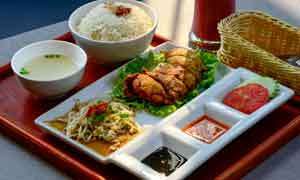 Kaema Sutra is well known for creating scrumptious Sri Lankan dishes with a twist. The restaurant which was first located at Arcade Independence Square is now housed at Shangri-La Colombo. 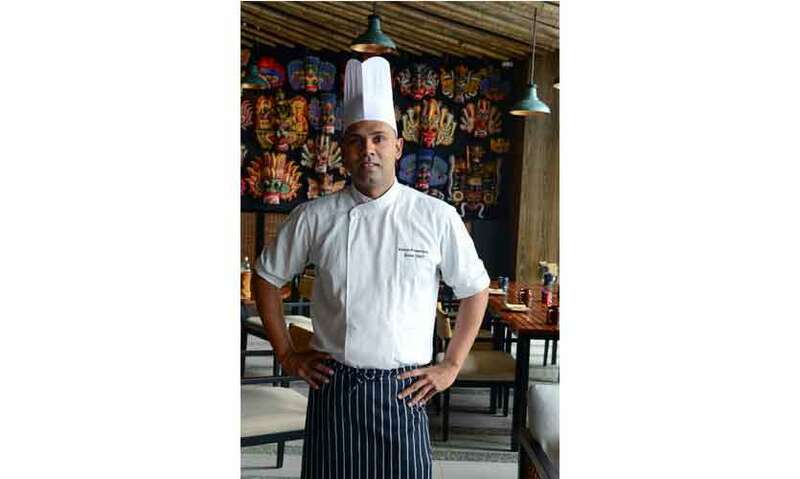 Kaema Sutra, Chef Dharshan Munidasa’s third venture, was opened in partnership with Bollywood actress Jacqueline Fernandez back in July 2014 and since opening their doors at Shangri-La Colombo (December 2017), the restaurant only served their scrumptious offerings for dinner but they are now open for lunch over the weekend. With a stunning view of the Indian Ocean coupled with the busy Galle Road, the restaurant gives you a chance to have a look at all the hustle and bustle of the city by the sea but at the same time be away from it all while indulging in a delicious cocktail and digging into some stunning Sri Lankan food. 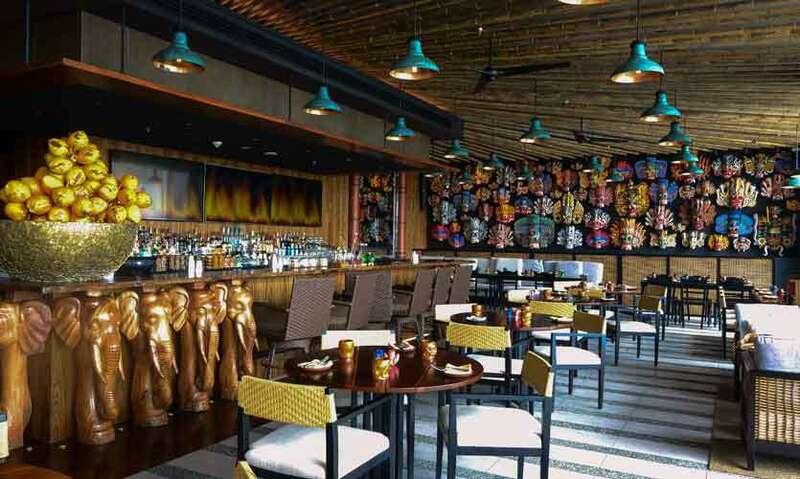 The feature wall, that of Sri Lankan masks is the most striking aspect of the décor of the restaurant while the atmosphere is relatively laid back. Although Kaema Sutra dishes out contemporary Sri Lankan cuisine, Chef Dharshan Munidasa and his team, headed by Chef Gehan Polgampala, Sous Chef, have ensured that these aren’t fusion dishes but that they pay respect to the true flavours of those well-known and loved Sri Lankan flavours, while using modern techniques to bring out the best in these well known dishes, that have been passed down from generation to generation. As we sipped on a refreshing mocktail, we nibbled on a few Gothamba Rotti Chips and then dug into Kaema Sutra’s famous Black Hopper (Rs 500). 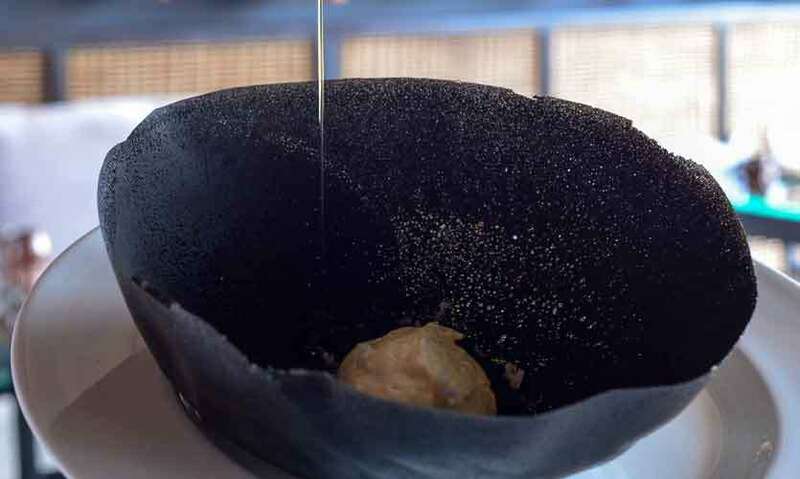 Squid ink is used to give the hopper its colour and nestled in the centre of this striking hopper is a mixture of curd and yoghurt topped with crystals of sea salt. Break the edge of the hopper, dip it into the mixture, drizzle some olive oil on it and enjoy and you won’t be disappointed. 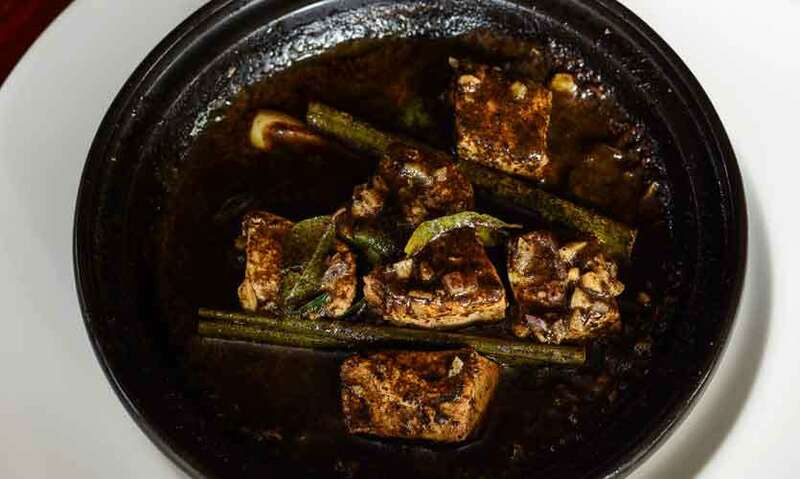 A common element at Kaema Sutra is that the food more than exceeds your expectations like the simple yet flavour packed, Crab Curry (Rs 10,000) and Prawn Curry (Rs 1,350 per piece). 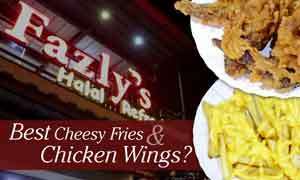 Don’t be stunned by the price, because both these dishes are worth every penny. They are both cooked in a tajine while the base of the curry is coconut milk blended with unroasted curry powder, turmeric powder, onion and garlic. 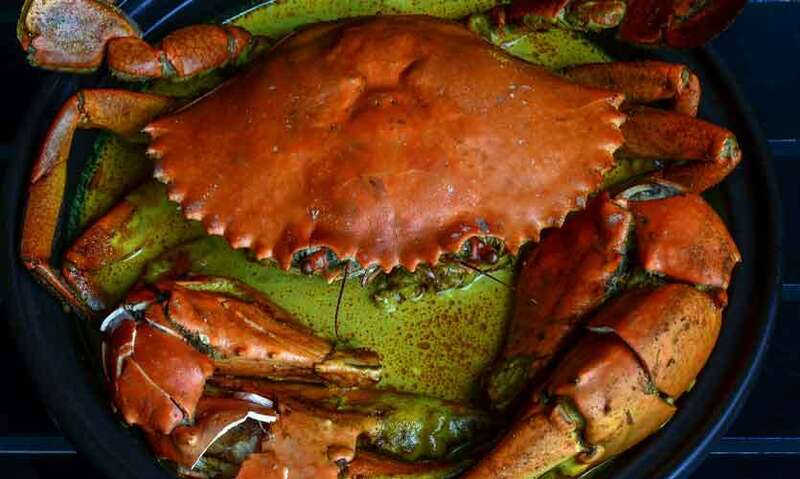 What must be noted is that the succulent and meaty, lagoon crab weighs a whopping one kilo while each prawn is more than enough for one person as it weighs between 150 to 160 grams. 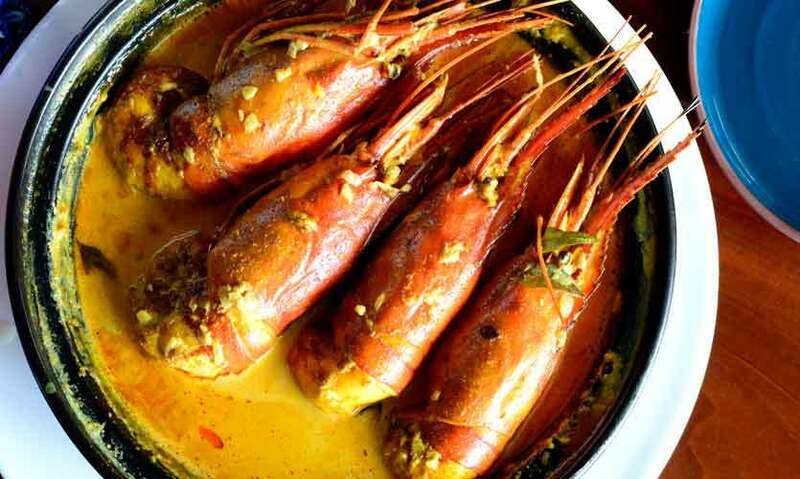 The mouth-watering gravy is best lapped up with a simple side of Steamed Rice (Rs 300) and nothing more. Another must have if you head to Kaema Sutra for lunch is their Spicy Turmeric Baked Whole Chicken Leg (Rs 1,200). 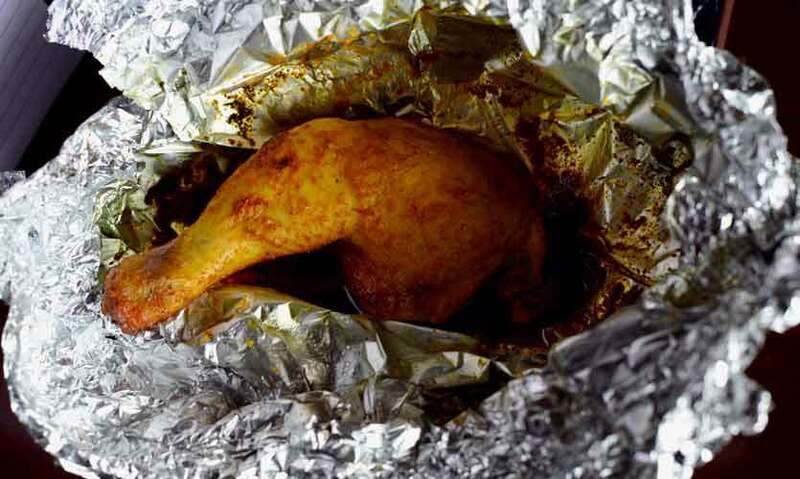 Inspired by the famous Lankan street food – the ‘roast chicken’ – this whole chicken leg is dressed with turmeric, salt, chilli and oil and then packed into a foil and baked for approximately 22 minutes. A squeeze of fresh lime and a Plain Hopper (Rs 220) to soak up all that delicious gravy, and you will be in culinary heaven. Although Kaema Sutra’s Egg Roti Squares (Rs 850) can be indulged as a starter it is also ideal to dig into with some curry. 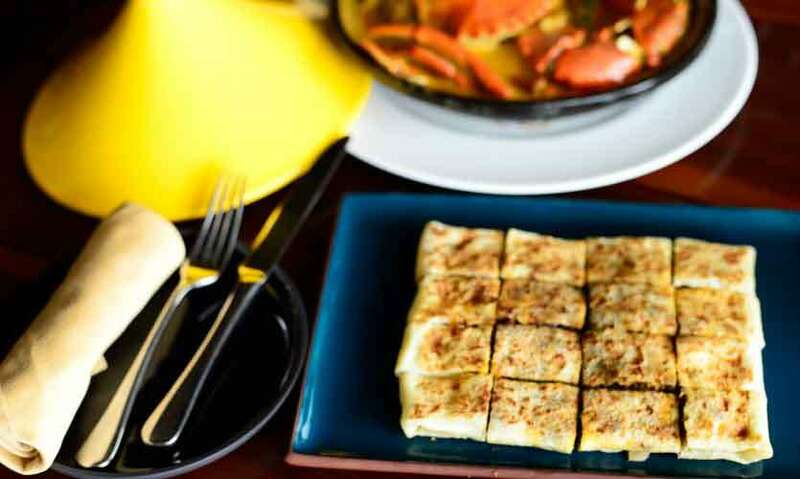 We opted for the egg roti stuffed with mutton and we suggest you have this dish on its own as the soft, spicy and flavourful mutton is truly something special. If rice is your go-to staple for lunch you won’t be disappointed with their Aromatic Yellow Rice (Rs 300). 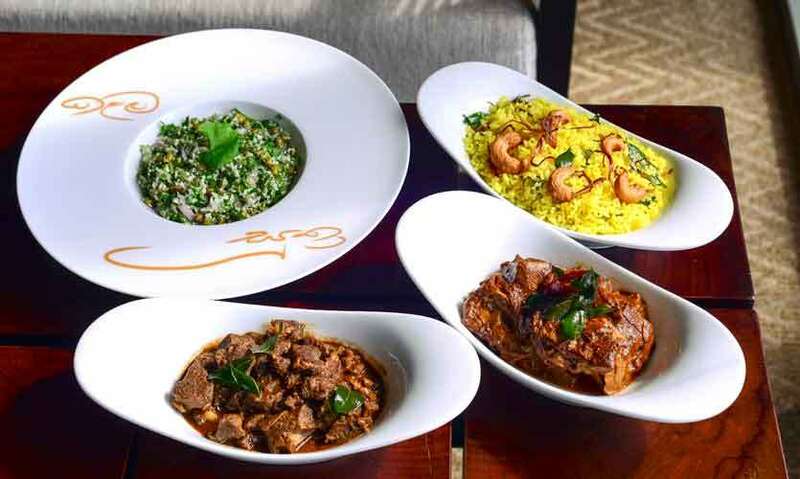 We suggest you try it out with their Australian Mutton Curry (Rs 1,350), Baby Jackfruit (Polos) Curry (Rs 600), Dhal (Rs 400), Tuna Ambulthiyal (Rs 1,750) – made in eight minutes, right in front of you, using sashimi grade tuna and Green Salad (Rs 480) – their take on the famously refreshing Gotukola Salad but with Mung Eta. 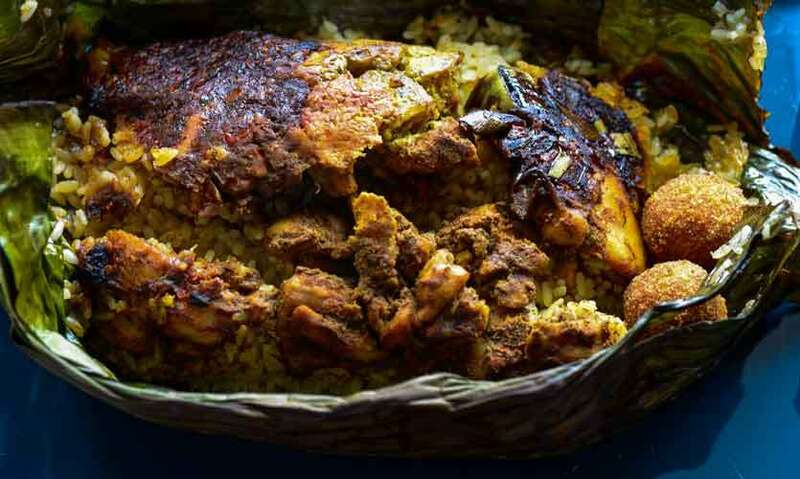 While a rice-based dish we can vouch for is their Chicken Lamprais (Rs 1,300). Even though your starters and mains will leave you quite satisfied and stuffed, you must have their colourful and delicious What the Hopper (Rs 650). What this essentially is, is a pani appa with a twist. 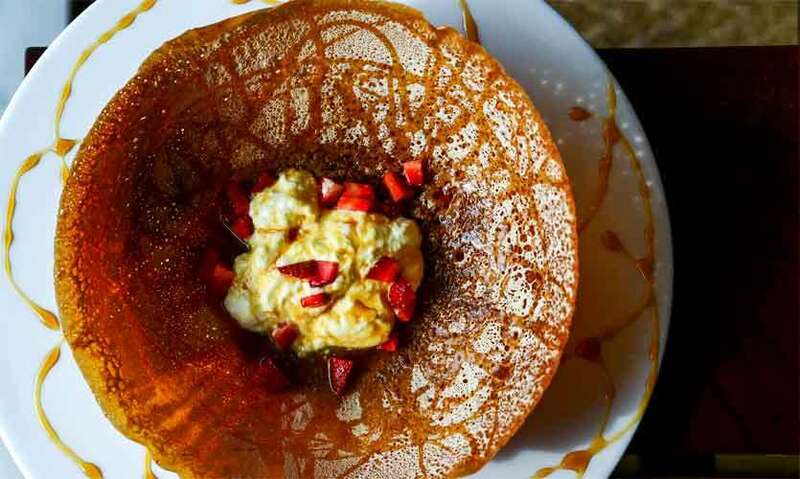 Kaema Sutra’s famous nine-inch hopper is dressed with whipped cream, strawberries and treacle and the result is pretty spectacular. Would we go again? Yes!